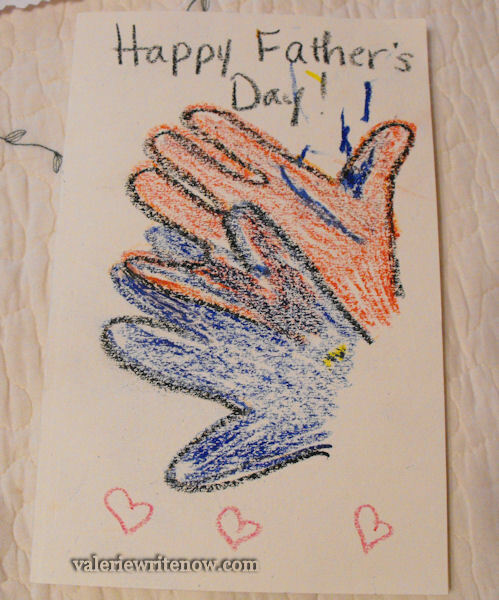 Father’s Day should be a difficult day for me, and in some ways, it is. After that first Father’s Day without my dad, however, it did get easier. I was, and am, comforted by the fact I will see him again. 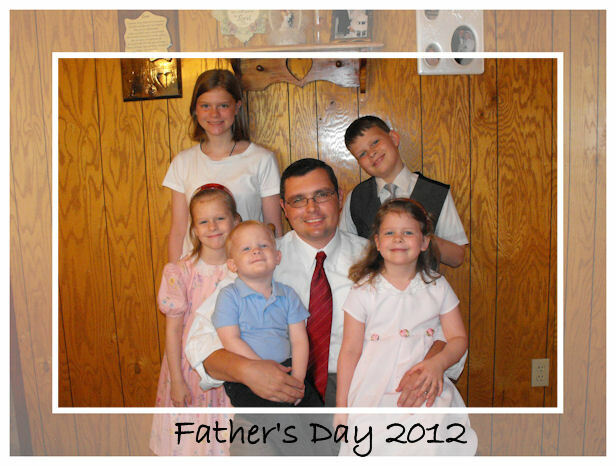 He was faithful to the Lord, his wife and his children until the very end of his days. I am blessed to have been able not only to have Ron Courtney for a dad, but for a friend, too. I miss him. I live the remainder of my life to bring honor to my heavenly Father, and my earthly one. I never want anyone to have to shake their head in disappointment at Ron Courtney’s youngest daughter. I am thankful that he left this Earth knowing that I loved him, and that he was my hero. 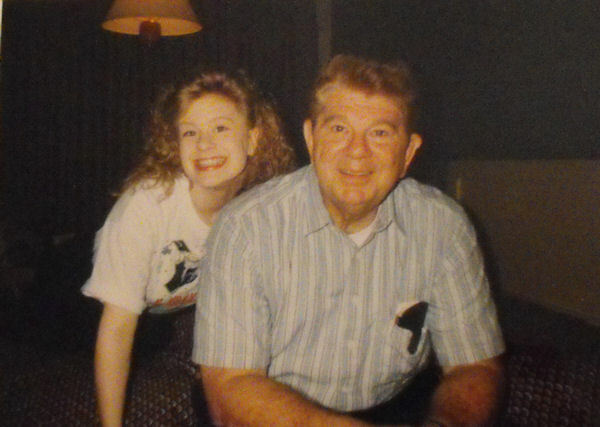 Me & Dad on my Senior trip to D.C. Summer, 1996. I am doubly blessed by my husband. He is is a wonderful Father. He loves his children very much. He has given up his own pleasures so that they can have the things they need. He sacrifices and never complains. He is hard working and fun loving. He is, in a word, the best. Leslie found these wooden letters. She needed an “E” and a “Y”. She used an “F” and drew in the line to make an “E”. She used “l” to make a “Y”! 🙂 This is a picture of her with her dad. Mitchell made his dad out of a paper doily! 🙂 He also used the wooden letters, and needed an “A”, so he drew a line across a “U”! 🙂 He cut a feather to make his hair and the pen (on right, like it’s in a pocket), which Dad always carries! 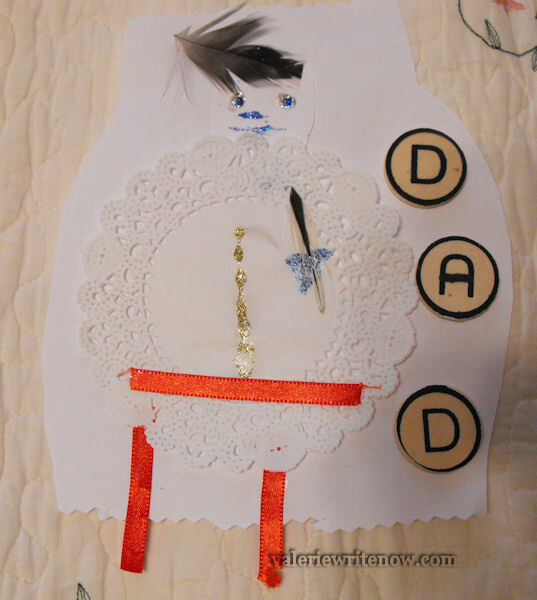 Lauren drew this dress shirt for her dad. This is so precious to me. It epitomizes her dad completely. One look at this and we see that he is a soul winner (see tract in pocket on your left), that he is studious (see pen on right), and that he wears a tie, which in our case, means he is a preacher. 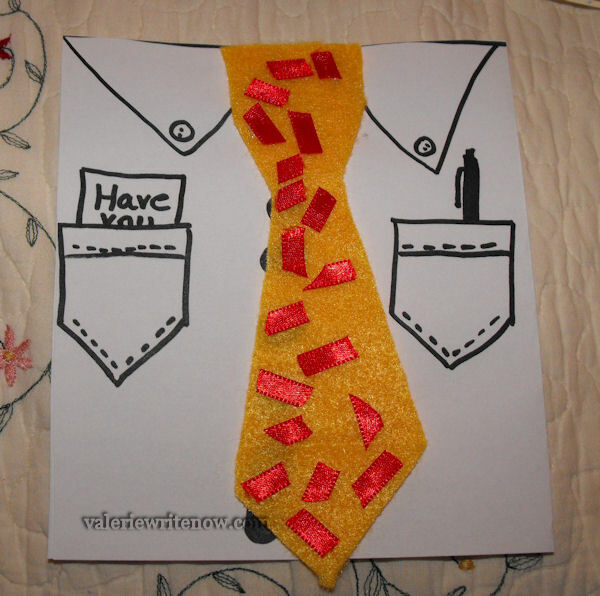 The tie is made from a piece of felt, with a ribbon cut up and glued on for the pattern. 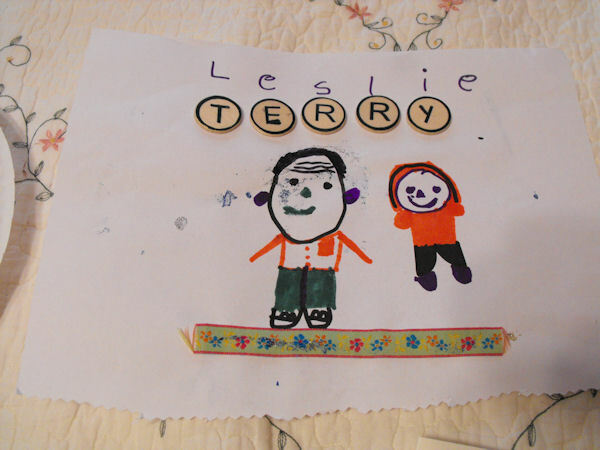 The night before Father’s Day, Lauren had drawn and cut from paper a little “medal” for her dad. It said, simply: “Bravery”. He is brave. He has faced opposition after opposition, and then goes back for more! He serves God when it’s not easy. I happen to know that at the moment he saw his “medal” for bravery, he wasn’t feeling very brave. The Lord used our precious daughter to “…lift up the hands which hang down, and the feeble knees;” (Heb.12:12) What a blessing! 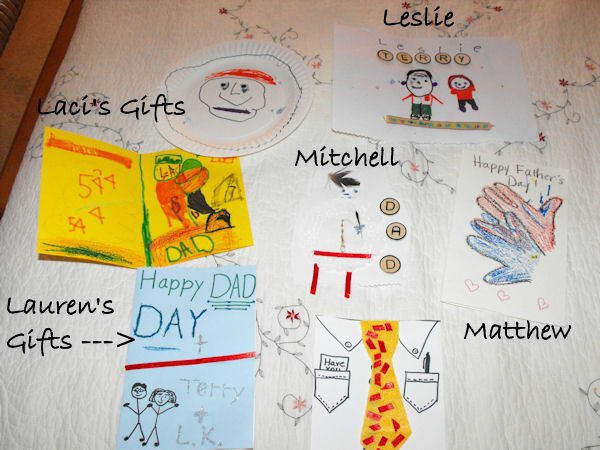 We didn’t spend a lot of money for Father’s Day this year, nor are we able to any year. But you don’t have to spend a lot of money to show someone that you love them. And we love the man of our house very much. Their work is very sweet and creative! I love all of them, and I'm glad you have photographed them for a record. They are precious. Love the variety of art project presents! The children are very creative and inventive!